Tanya Shukstelinsky of the Bezalel Academy of Arts and Design in Jerusalem, Israel, came up with a totally novel idea for a micro home. Cocoon, as she called her creation is a thin, multi-story shelter, which is nestled between two layers of fabric. It is also extremely mobile as you can simply fold it up and move it at a whim. 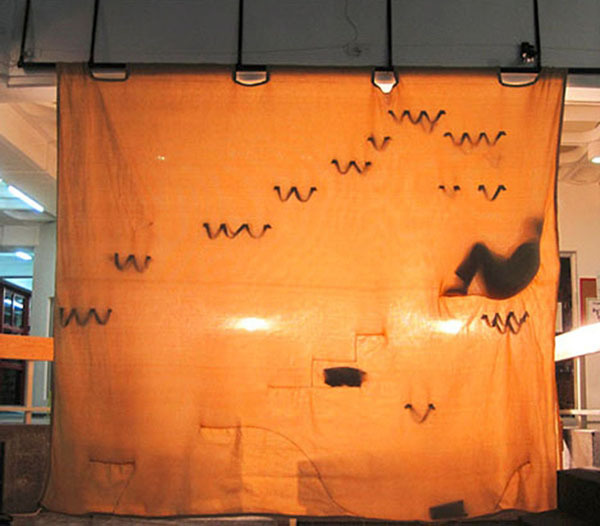 Cocoon came to exist as part of a project of creating a private space in a public area.